IQ Stream Technologies is one of the top quality SAP ABAP & HANA training institutes in Bangalore with highly experienced and skilled professional trainers delivering the courses. 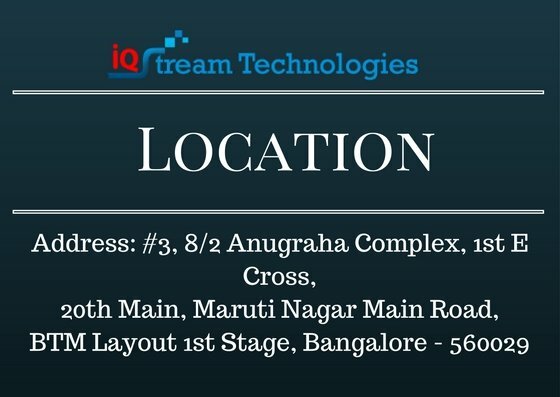 IQ Stream Technologies Bangalore also offers placement assistance for students who enrolled in SAP ABAP & HANA (high-performance analytic appliance) and (Advanced Business Application Programming) Courses. ABAP is a high-level programming language created by the German software company SAP SE. ABAP follows is Object-oriented, structured, imperative paradigm. ABAP is application-specific fourth-generation languages (4GLs) developed in 1980s. We offer advanced SAP ABAP & HANA training classes, advanced learning experiences and tools for better learning, understanding and experience. Our course content and syllabus are very advanced and updated and curated by highly experienced trainers. • This course is based on software release SAP ECC 6.07 (SAP Net Weaver 7.40) for ABAP and HANA 1.0 for SAP HANA. • The ABAP Workbench Foundations programming and SAP HANA courses require that you understand the content of this basic course. • ABAP artifact creation/ Debug/ Test/ Troubleshoot techniques. • ABAP RECIF (R=Reports, Enhancements, C=conversions, I=Interfaces, F=forms) concepts with example. • SAP HANA introduction with HANA artifacts with sample examples. • HANA artifact creation/ Debug/ Test/ Troubleshoot techniques. • Software development for HANA database. • ABAP development for SAP HANA. • What is ERP ? What is SAP and why SAP ? Understanding how to find suitable interface for the requirement and implement.